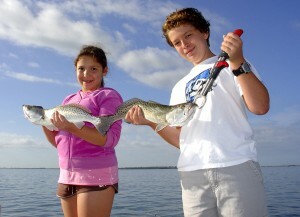 It’s essential we understand our next generation of anglers is today’s children. So, it’s important we teach them to fish; but not just fishing and catching fish, but doing it correctly, safety, and at the same time learning to respect and care for the resources they’re using. I love teaching young people to fish. I always start with the anticipation of landing a big fish and continue with the basics of learning to bait a hook and making an accurate cast. My perspective on teaching young anglers begins on their first experience; I teach using a straightforward approach and patience. I try to convey an understanding of the emotions ranging from elation to boredom while taking steps to minimize their frustrations. 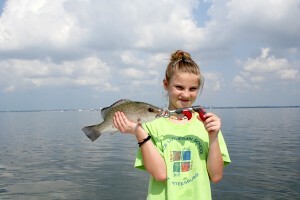 This often takes a few tries, but once the first fish is hooked, so is the child. All this helps create a solid foundation for our next generation of the angler, which hopefully will ignite a lifetime interest in the great past-time of fishing. I have all the safety gear on my boat. I make certain it’s clean and in safe operating condition. I raised two sons as a single parent taught them to fish, and now they are guides. Now I have three sons, my third son is merchant seaman and my daughter is a firefighter-paramedic, I also have two grandsons, and three granddaughters. Everyone fishes.